Chop and slice all fruits according to your taste and liking, keep aside. Dilute vanilla custard powder in ½ cup of milk to make a smooth paste. Boil the remaining milk with sugar, stir continuously for 10 minutes. 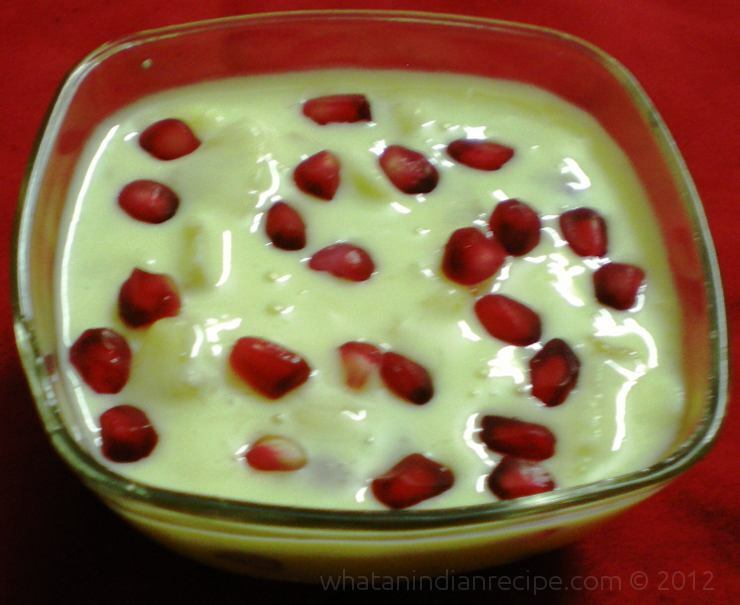 Add diluted custard powder in to it and stir on low flame till it becomes thick. Remove from heat and refrigerate it. At the time of serving, pour all the sliced fruits, mix it well. Serve chilled in a serving bowl.